A Beautiful Galapagos Ship Tour: There is no doubt that the island is the best place you can enjoy on! But, the sea is not less appealing. There are many varieties of ships that would take you across the deep blue waters that would give you a wonderful feeling. 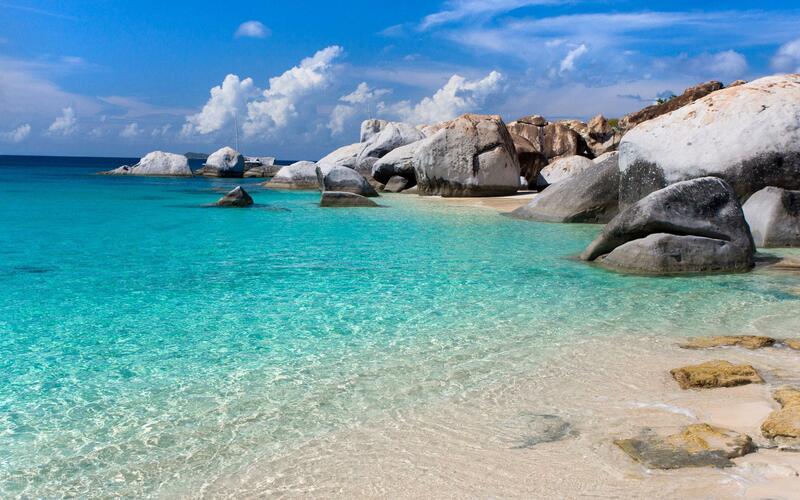 A tour through the sea of sparkling blue waters would surely refresh your body, mind and soul. You can avail any kind of ship that suits your needs or your budget. Snorkeling with fish and turtles: Before moving to the lands, there is more that could be explored in the sea. The sea offers a variety of marine life that you would love to see. 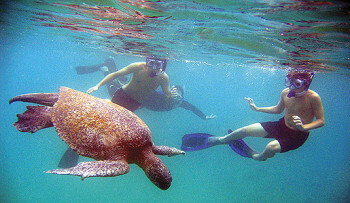 Its best to go snorkeling through the waters along with different types of fish swaying around you. Relax on the Beach: The Galapagos Islands offers a long wide coastline and beaches where you can spend time long hours relaxing in the fresh air and a great view of the waters. The Galapagos Beach in the town of Puerto Ayora on the islands of Santa Cruz is said to be one of the most popular and beautiful beaches in Galapagos. A Walk through the Lava Tubes: Galapagos Islands are a home to many ancient lava tubes that were for5med by the molten magnum that also formed the islands. A walk through these tunnels that would take you for an outing underground. Take a look the Giant Tortoises: One of the most important things that you should never miss while you are out on a Ecuador Tour is a chance to take a look at the Giant Tortoises that are present only here.Rancho Permiso is a private tortoise ranch in Santa Cruz and is known to be among the best places where you can find them. Enjoy Bird Watching: Like animals, Galapagos is a home to many different species of birds as well. These species include the rarely found blue footed boobies, the flightless cormorant and the waved albatross. Since it was here that Charles Darwin developed his theory, a bird named as Darwin’s finches is found here. There are about 13 species of this bird alone that can be seen swaying through the islands. Visit the Charles Darwin Research Station: Amongst all the enjoyment that you may go through, the island would also have educational stuff to offer. The world’s most prestigious and well known research center named the Charles Darwin’s Research Station is situated here. 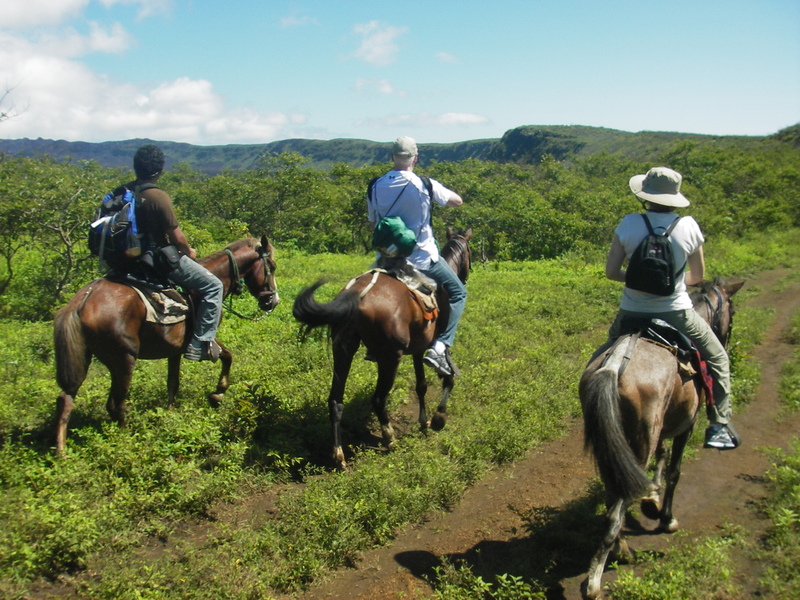 Horseback riding on the Siera Negra: Known as the oldest volcano in the Galapagos, the Siera Negra, located on the island of Isabela is a great place to visit. 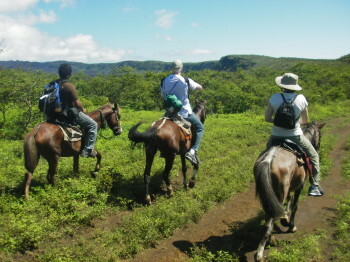 It has a variety of attractive trails that are suitable for horseback riding or hiking. 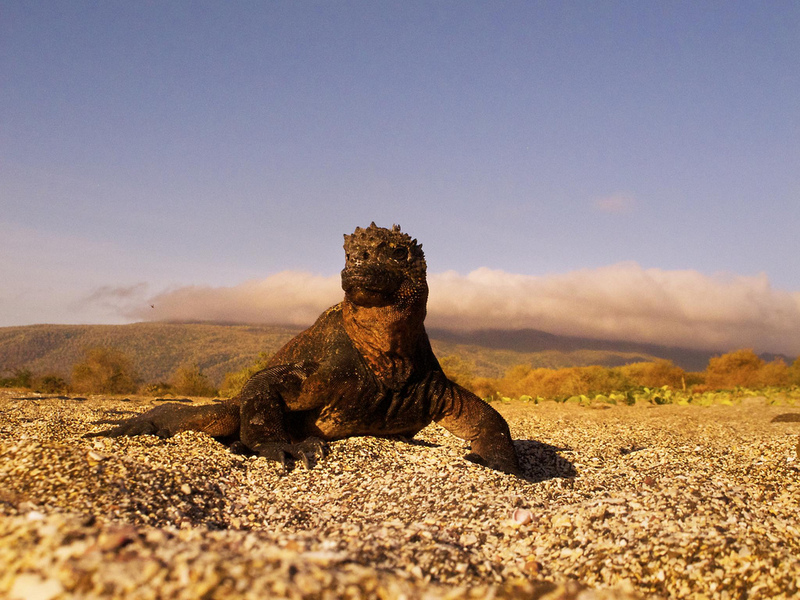 Marine Iguanas at Tortuga Bay: The Tortuga bay is a great stretch of beaches where marine iguanas make their homes. It is the best place to see these iguanas running or walking along the bright sandy coastline. The Local Cuisine: You can enjoy the best kinds of Ecuadorian Cuisines in any part of Galapagos. All the restaurants and lodges here are welcoming and serve the best finger licking food. Galapagos is well considered to be the most beautiful natural wonders of the world. The environment friendly tours and activities that will refresh you and your dear ones and let you experience a memorable holiday is what this Island has to offer. It does not only have beautiful locations to visit, but when you are out on a Galapagos Island Vacation, you will come many more interesting things such as the experience of adventure and the sight of rare species of fish, animals and birds that move so freely. A standard Galapagos Island Tour Package would take you across all of these things and won’t let you miss even a single thing mentioned above. Bio: +Samantha is a travel freak from San Diego who now resides in Quito, Ecuador. She loves visiting new places and exploring everything she can. Deeply influenced by the evolution of the human race, she now works with Nature Galapagos & Ecuador as a travel informant and loves sharing knowledge about the unique species found in this amazing country.